At KGS Custom Machine we realize the importance of supplying the correct part and supplies, at a reasonable cost and in a timely manner. We have developed relationships with the leading suppliers in the industry. We continue to add to our list of suppliers and manufacturers so we can offer better value. 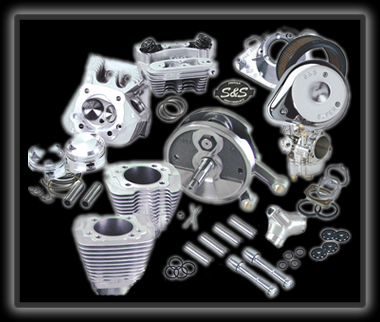 We can get most any part for any bike, most often OVERNIGHT. Most importantly, when you call or stop in to order your parts, you’ll be dealing with an experienced “Nut & Bolt” guy not some “button pusher” that has to transfer you too the tech department when you ask a question about your parts. We will take the time to answer your question and make sure you get the right part the first time. We offer special pricing for volume buyers and deep discounts on big ticket items and large orders.